We also specialize in one-of-a-kind machines designed from the ground up to better meet the unique requirements of a customer's application. These solutions can run the gamut of part sizes, types, and applications. The most exotic example is shown on the left. This machine turns old tires into heating oil, natural gas, and other commodities. All this is accomplished without producing harmful emissions. 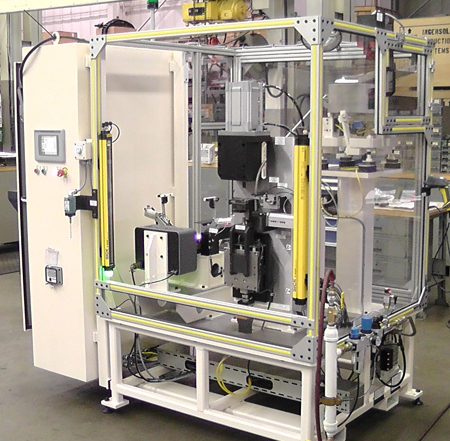 Ingersoll Production Systems was also selected to design and build a one-of-a-kind machine to automate the assembly of new hydraulic flow control system components. The new "Smart Flow" technology promotes a reduction of work required by the pump therefore reducing fuel consumption in vehicles which cannot yet make the switch to Electric Power Steering. The machine's purpose in this new technology was to use an integrated measurement system to build a flow control system specific to the pertinent dimensions. This resulted in a "built-to-suit" pump assembled around flow requirements as opposed to verifying flow characteristics after typical assembly. Ingersoll was able to do this with a vision system integrated with a high accuracy press which provided an extremely accurate overall measurement/assembly capability. Ingersoll followed this assembly with a Telesis marking system which provided significant information on the specific pump which can be used for quality studies, capability tracking, and lot control. IPS is proud to have been selected to develop this unique and very important new technology. Additionally, our customer has stated that they are "extremely impressed and very happy, not only with the machine outcome, but the professionalism, timeliness, and overall out-of-the box thinking that will make this program a huge success." Federal Mogul selected Ingersoll Production Systems to design and build a series of unique machines to assemble needle bearing cups. 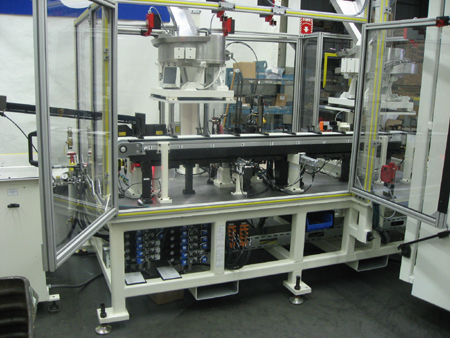 These machines utilized a servo controlled conveyor belt systems and were capable of processing several different part types. 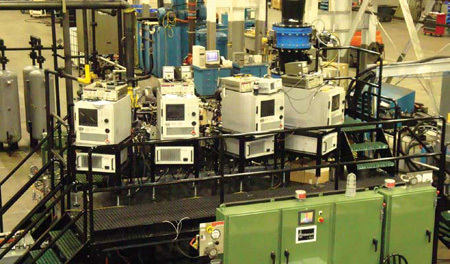 Vision and laser systems were used for part type detection and validation. Learn more about IPS's history in special purpose machine development or contact IPS discuss your specific machinery requirements.